Virginia Beach is the “Builder and Protector of the House”, ordained by God to be the Eastern Gate of the Nation. Virginia Beach builds and protects the House of God in Tidewater, while serving as the gatekeeper of the nation, determining what may come in and what may go out of the United States! Norfolk is the “Metropolis, the Mother City”, ordained by God to be the center of life and prosperity in the Tidewater region. Norfolk represents the whole Tidewater region; it is a microcosm of Tidewater. Norfolk is the center for the arts, commerce and a connection to the international community. From Norfolk, the Body of Believers is to send out workers into the harvest fields of the world. Hampton is the “Home Settlement”, ordained by God to be a City of Refuge in Tidewater and to cleanse our area (and our nation) of the sediments of sin and immorality. Those escaping persecution or demonic oppression can find refuge in Hampton, as Hampton collects the refugees. As Virginia Beach brings down principalities in our region and nation, Hampton collects the enemies that scatter and destroys their plans to wreak havoc elsewhere. Newport News is the “New Port for Good News”, ordained by God to ensure that the Body of Believers in Tidewater (and our nation) is grounded in sound doctrine and to minister healing and deliverance through the power of the Word of God. All things will be made new in Newport News! Yorktown is the “Covenant City”, ordained by God to aid Tidewater (and our nation) in understanding and remaining true to our Covenant with God. As the Body of Believers, we have made a covenant with God that can be found in the Bible. As a Nation, we have made a covenant with God that was forged on the shores of Virginia Beach and in the Jamestown colony. Yorktown is key to restoring and sustaining Tidewater and the US in our Covenants with God. Williamsburg is the “Dwelling of the King”, ordained by God to continually house His Presence to guide this Nation! Heads of state are drawn here to seek counsel from the King of Kings. Prosperity abounds in Williamsburg because the glory of God is upon it. Yet, the King should be sought, not provision from His glory. Jamestown is the “Fortress of the King,” ordained by God to be the stronghold and strong tower of the Kingdom of God in the Tidewater Region. It is from Jamestown that heavenly decrees are made and sent forth throughout the Nation. At Jamestown, the Body of Believers takes its stand against the kingdom of darkness in our area and Nation! Portsmouth is the “Reflector of Truth”, ordained by God to provide a prophetic mirror of the Tidewater region. Physically, Portsmouth catches the run-off from many other cities by way of the James River. However, spiritual Portsmouth receives the overflow from the rest of the region and reflects back to us the sin and glory in our area. Portsmouth is positioned by God to be a cleansing agent for the area as well, through prophetic revelation. Chesapeake is the “Gathering Pool”, ordained by God to gather the run-off that flows to Portsmouth. Chesapeake is a golden bowl collecting God’s glory, a pool for immersion in the Spirit of the Living God. All that flows into Tidewater, gathers and collects in Chesapeake, to create a place of overflow. Suffolk is the “Gateway to the South”, ordained by God to be the gate through which we must enter for deliverance, healing and glory to abound in the southern region of Tidewater: Franklin, Southhampton, Emporia, and Greensville. In order for an explosion of revival and purpose to occur in the Southern peoples of Virginia, Suffolk must first experience it. As Suffolk experiences the presence of God, ministry in the southern region will become effective and rapidly advance. Gloucester is the “Queen Mother”, ordained by God to release the Holy Spirit and royal priesthood anointing into this region. Over the years, Gloucester his been like a young bride, a princess, learning her role, yet suppressed in her authority. Yet God has ordained that Gloucester would rise up like Esther, for such a time as this, empowering women to serve in the Kingdom, setting captives free and nurturing believers to stand in our divine authority as the Bride of the Jewish Messiah—identity hidden no more! Surry is the “Birthing Place”, ordained by God to birth ministries and movements in our Region. God often uses Surry County this way because it is an incubator for that which is growing and a refuge for that which is vulnerable. Out of Surry come new things of God’s Kingdom, often under the radar of the enemy, because they have been allowed to develop away from the enemy’s watchful eye and attacks. As they mature, God may relocate His people, ministries and movements to other areas of Tidewater. James City is the “Authority Activator”, ordained by God to activate Kingdom authority throughout Tidewater, VA. There is a reservoir of Kingdom Authority stored in James City County. Historically, the Lord has released there His signet ring to move on His behalf. In James City County, God activates anointings and bestows His Kingdom authority, so that His will would be carried out in the Region. God gives a special grace to those in James City County to activate the Kingdom authority lying dormant in others in Tidewater and to release the right to move freely within the will of God in the Region. Charles City is the “Innocent King”, ordained by God to wield Kingdom authority in purity and virtue. Charles City County holds an innocence from which the rest of Tidewater must benefit. This innocence can easily be misguided by threatening attacks of the enemy. Yet, under the direction of the Holy Spirit, those in Charles City are able to extend the scepter of God’s forgiveness to many, ministering healing that purifies hearts. Richmond is “The Mountain of the Lord”, ordained by God to be the center of prosperity for Virginia. Literally, Richmond means “Rich Mountain.” God has said of Richmond, “On the Mountain of the Lord, it shall be provided!” This is not just financial prosperity, but also spiritual prosperity. As the residents of the City prosper in their souls, so shall the City prosper financially. 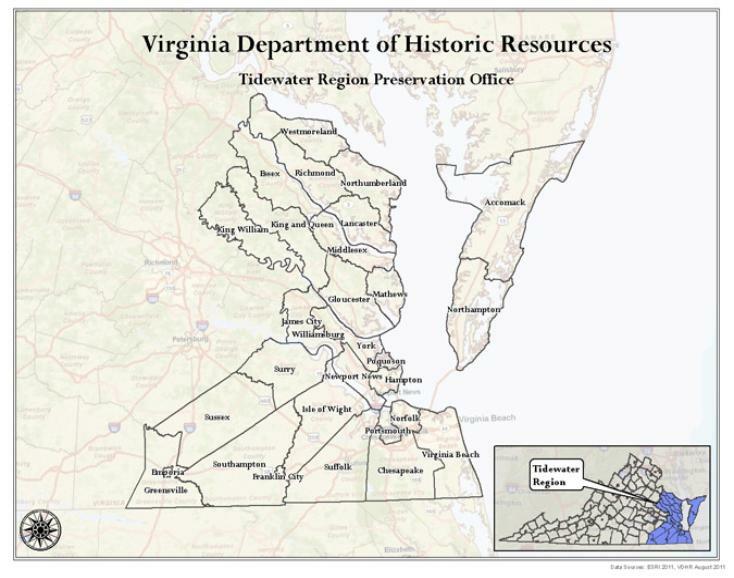 The City is so important to the history of the Tidewater Region, and it is key to revival in Virginia, thus the Nation! Petersburg is “The Place of Intersection“, ordained by God as a place for cultures and peoples to intersect, for His purposes. Originally called”Peter’s Point”, Petersburg was established as a trading post for colonists and Native Americans. It was also a place where northern, southern, eastern and western traders connected to exchange goods. This intersection of cultures and peoples provides for the advancement of God’s Kingdom. However, it is a place of clash and warfare when the culture of the day opposes God’s will. In the Civil War, Petersburg was the location of the Union stronghold, as they prepared to take Richmond, the capital of the South, which was in rebellion to God’s plans for this nation. Join us in fulfilling God’s plan for uniting the Body in Tidewater, VA, and healing our nation. Join us for Ecclesia Arise Worship Experiences in EACH of These Cities.